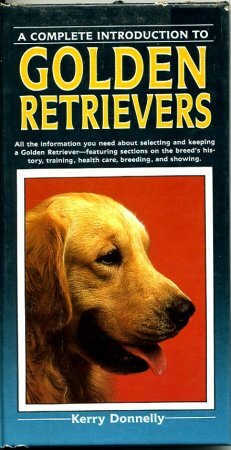 Chapters: origin & early development, 20th century German breed pillars, modern-day starins in Germany, the early American scene, progress in American breeding, in the West Coats, into the 1960's, the Danish strains, in Britain, the field trial dog, physical constitution, showing, the standard, breeding, picking pups, gait, Ludwig v. Schwarenberg -dog in the fountain, German titles & vocabulary. B/W photos. 288 pgs. Presents sensible, easy-to-follow recommendations about selecting and caring for a German Wirehaired Pointer. Topics covered: History of the German Wirehaired Pointer -- Description of the German Wirehaired Pointer -- Grooming -- Selecting Your Dog -- The New Family Member -- Feeding Requirements -- Accommodations -- Housebreaking and Training -- Behavior Modification -- Health Care -- Preventive Dental Cares -- Breeding -- Dogs and the Law. Color photos & drawings. 192 pgs. Origins & development in Great Britain, arrival in the US, kennels in the US, in Hawaii, in Canada, caring for a puppy, coat care & grooming, specialty clubs, honors & awards, standards, showing, obedience & working Goldens, breeding, traveling with, & a veterinarian's corner covering diseases, infections, parasites, home remedies, first aid, care of the older dog & canine nutrition. Includes a glossary. Many B/W photos & a few color photos. 477 pgs. With more than 20 years of experience in keeping, breeding, handling & showing dogs, the author offers both the professional dog breeder & the inexperienced new dog owner a wealth of information. 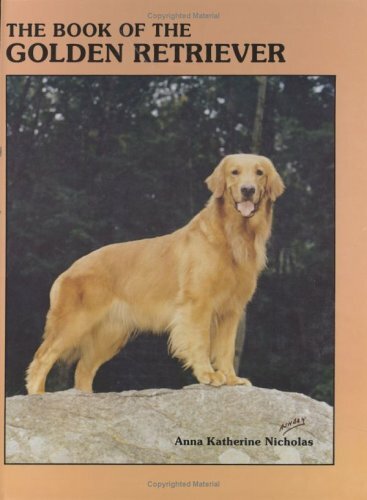 Chapters on: history of the breed, purchasing, grooming, breeding, chossing the right mate, eye diseases inherent in Goldens, showing, obedience, field trials, training as a guide dog, in Canada & Australia, dog shows in England, important kennels of today, eight outstanding recent show Goldens. Color & B/W photos.320 pgs. 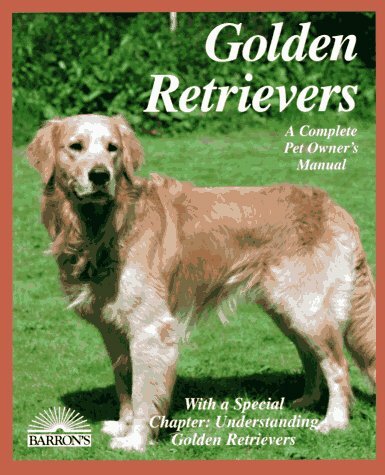 All the information you need about selecting & keeping a Golden retriever - featuring sections on: Breed standard, history, training, grooming, showing, health care, breeding. Color photos. 126 pgs. Presents basic information about pets for new or soon-to-be owners. Advice and instruction covers feeding, housing, health care, training, grooming, protection against hazards, and much more. Texts emphasize pet care basics and are easy for all readers to understand. Filled with high quality full-color photos and instructive line drawings. 86 pgs. 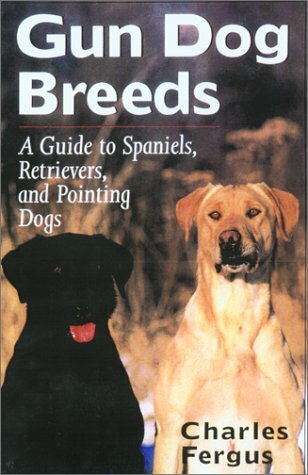 This book traces the origin of the breed, gives advice on choosing a puppy, tells about basic training & general care, and gives information on breeding, whelping & reraring. The breed standard is analysed, & there is coverage of preparing a Golden for the show ring. For those who are interested in training, the specialized areas of gun-training, agility, working tests & obedience competitions are highlighted. B/W photos & illustrations. 174 pgs. 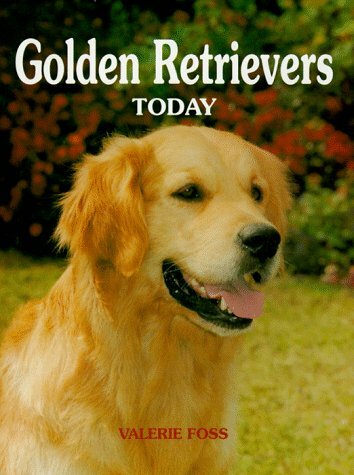 Written by a veteran fabcier, breeder & commentator who knows the joys of Golden ownership in many formas & passes her knowledge, experience & love for the breed along in this update of her classic. 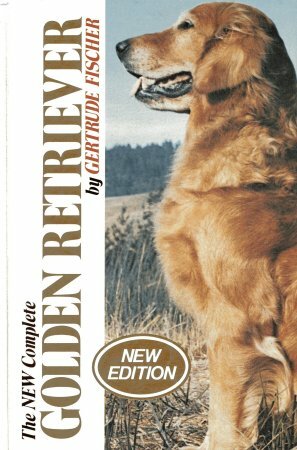 Covers: History, breed development, standard, hunting, early field training, obedience, showing, care of the adult, puppies, the Golden's role as a leader for the blind, pleasures & legends, children & Goldens & more surprises. B/W photos. 304 pgs. 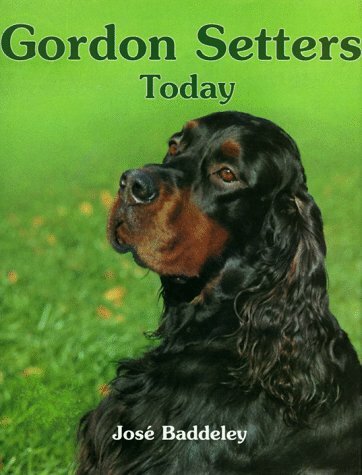 This book traces the history of the Gordon Setter from its origins to its role today as a working gun dog, show dog, and companion dog. Training methods are outlined which suit the particular temperament of the Gordon Setter, as well as giving general advice on nutrition, exercise, breeding, and health care. The breed Standard is analyzed in detail, with special emphasis on type, coat, and color. B/W photos. 171 pgs. Description, feeding, health & dental care, breeding, grooming, accommodations, housebreaking & training, behavior modification. Over 175 color photos & drawings. 192 pgs. Info on its origin, temperament, abilites, selcting, feeding, training, health care, work & play activities, as a working dog, grooming, and more. Color photos. 87 pgs. 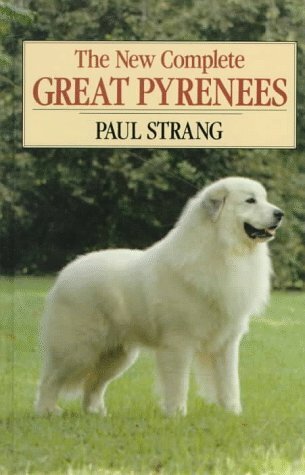 Chapters on: The origin, breed development in France, coming to America, early American bloddlines, standards now & then, character, as a worker, in America, in Canada, in France, in Great Britain, around the world, proper care, health problems, showing, breeding, spinning their hair, and The Great Pyrenees Club of America. B/W photos. 256 pgs. 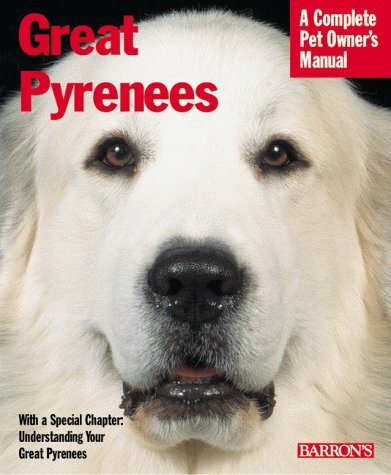 Chapters: history of the breed, character & temperment, choosing a puppy, exercise, puppy classes & obedience training, housetraining, chewing, crate training, equipment, helath, vaccinations, bloat, hip dysplasia, epilepsy, digestive problems, feeding, heartworm, fleas, skin problems, grooming, breeding, showing & more. B/W photos. 90 pgs. 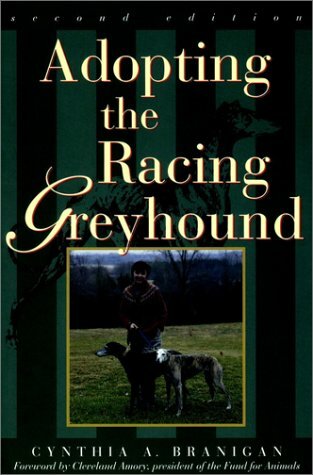 Chapters cover: A brief history of the breed, choosing the right dog, the racing life, in a home, care & feeding, insecticides & anesthesia, training, having fun, the greyhound's anatomy, adoption groups & organizations. B/W photos. 148 pgs. 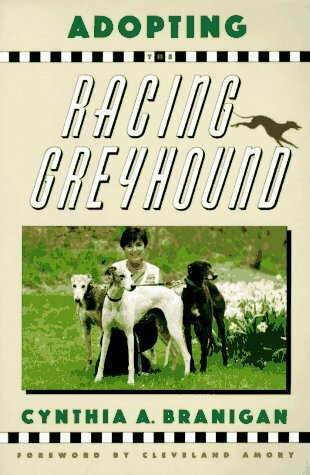 Chapters cover: A brief history of the breed, choosing the right dog, the racing life, in a home, care & feeding, insecticides & anesthesia, training, having fun, the greyhound's anatomy, adoption groups & organizations. B/W photos. 178 pgs. This lively, engaging, and extremely helpful book covers the history, physical characteristics, temperaments, and field capabilities of the more than thirty dog breeds used to hunt gamebirds. It teaches both the novice and the experienced hunter how to choose the right dog for any hunting situation.Gun Dog Breeds covers breeds both popular and little known. 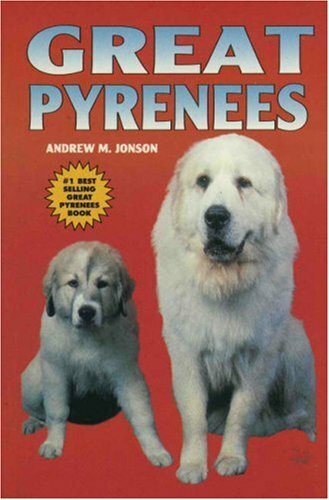 It gives advice on how to select a breed and pick a puppy. It emphasizes the pragmatic without ignoring the whimsical. From pointers to drahthaars, from English springers to Boykin spaniels, from Labrador retrievers to curly-coated retrievers, Gun Dog Breeds gives an unbiased, comprehensive, and entertaining look at the wealth of dogs available to the modern hunter. B/W photos. 197 pgs. What dog to use for what game. 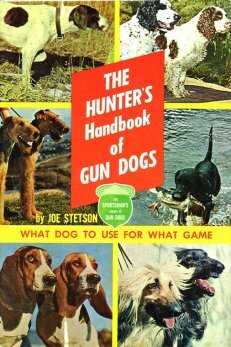 rabbit hunting, raccoon hunting, fox hunting, bird hunting, flushing spaniels, retrieving dogs, terriers, & miscellaneous game. B/W photos. 64 pgs. 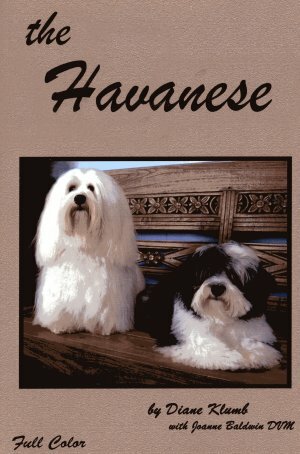 A quintessential handbook for Havanese buyers, owners, breeders & fanciers. 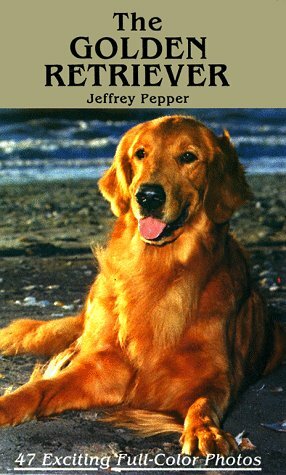 Chapters cover: history, character, selecting, carating, feeding, water, toys, the new puppy, health, Ockham Syndrome, preventative medicine, grooming, cording, education & training, as therapy dogs, and much more. Color photos. 159 pgs. Origin, history, early importations, the Elcho era, the 1890's, the 20's, the late years, today's Irishmen, standards of the Irish Setter, anecdotes, training, showing, general care, feeing, breeding, & medical info. B/W photos. 544 pgs. Chapters on: Character, history, exercise, grooming, the new puppy, puppy diet, housebreaking, training, breeding, care of mother & family, helath, care of aged dog, and showing. B/W photos. 64 pgs.